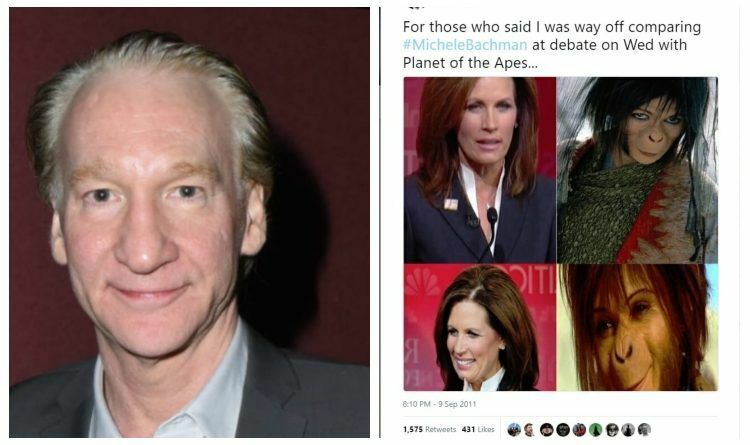 Bill Maher Posts Racist Photos Comparing GOP Politician to ‘Planet of the Apes’ Monkey – MSM Silent! Without double standards, liberals would have no standards at all……Ignorance and hypocrisy are the mainstays of the ‘progressive’ diet. One Tweet was more than enough for ABC to cancel her show! But nothing stops ABC from removing conservatives but its obvious double standards are too much! We all remember when Jimmy Kimmel posted a homophobic tweet attacking President Trump but nothing happened and today we have something more a clear racist attack on a GOP candidate! 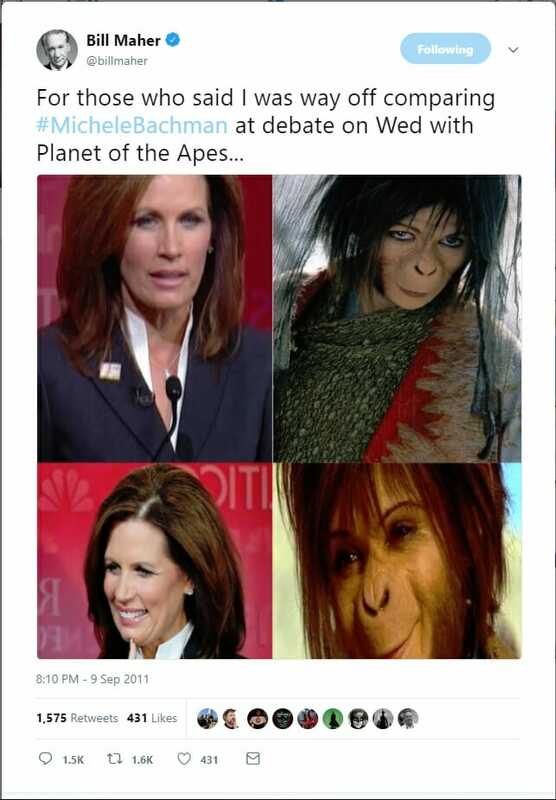 On Thursday Bill Maher posted photos comparing Michele Bachmann (not Bachman) to Leeta of Planet of the Apes. Of course, there are no calls for Bill Maher to lose his show after his latest racist remarks. The Democrats will ignore this. But it’s up to us to share this and ask for Maher resignation!